The ability to take care of your loved ones within their home setting is priceless. It is our goal to provide a superior home care experience to international patients as we provide excellent home care nursing service; enhancing the lives of many. 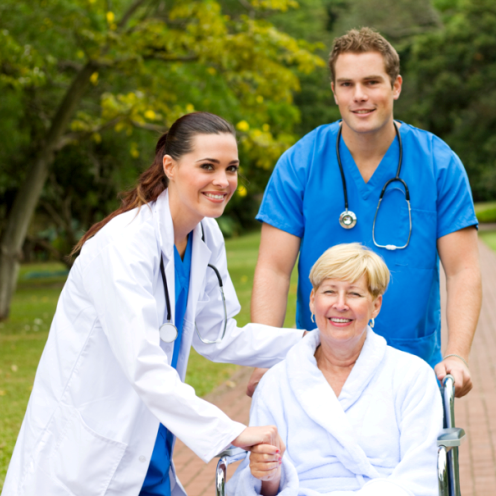 ✓ Elite Medical at Home’s nurses are licensed professionals with rich educational backgrounds and work experience. ✓ You can rest assured that our nurses will discreetly and skillfully provide you with a full range of personalized care, which may include education and support on disease management and medication, pain management, wound care, IV infusion, and postoperative care. ✓ Elite Medical’s nurses work closely with you, your family and hospital team to help carry out your treatment plan and ensure you meet your medical goals. ✓ The Elite pediatric nursing program features a group of carefully selected nurses who specialize in the treatment of infants, children and adolescents with a wide array of complex medical issues. ✓ Our pediatric nurses are skilled in providing these young patients with the top quality home medical care they need and deserve. ✓ In addition, our pediatric nurses spend a significant amount of time educating and supporting families by designing home care plans to help families meet their child’s special needs. ✓ To ensure that you or your loved one feels safe and cared for, we can assign home caregivers to help you in your home setting. ✓ Our home health aides assist with simple tasks such as bathing, grooming, light housekeeping, light meal preparation and companionship when venturing out of the home. ✓ This service is perfect for situations where you have to undergo a certain treatment or just need an extended period of bed rest. ✓ Through this service, we can help give you and your family a break from your home care-giving responsibilities.